made its debut on 1 January 1994 with Beethoven’s Ninth Symphony. 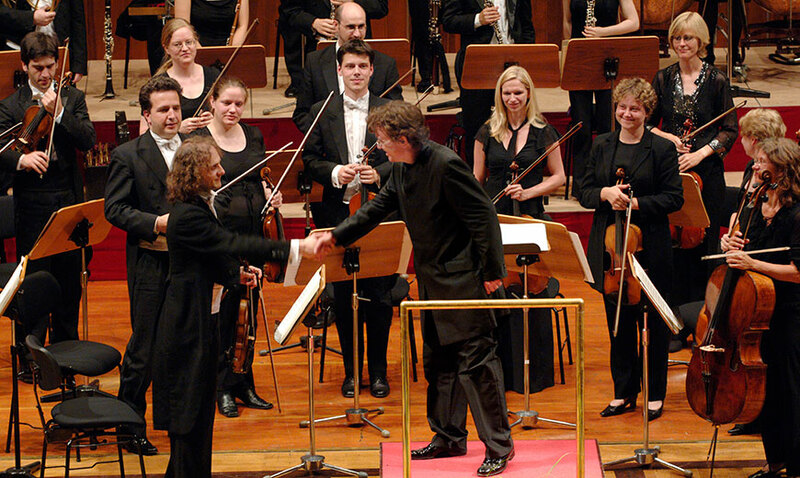 It is one of the few German symphony orchestras made up entirely of young freelance musicians. Tours through many European countries and South America have established its reputation as one of the leading „period“ orchestras before the public at present. World-famous soloists like Rudolf Buchbinder, Nelson Freire, Bernd Glemser, Cyprien Katsaris, and Thomas Zehetmair appear regularly with the Heidelberg Symphony Orchestra.